If you are thinking about getting a new car, there is one company that is stepping up its game in 2009, and that is Audi. In fact, there are four new Audi's that have actually earned a spot on the Consumer Guide Automotive List. 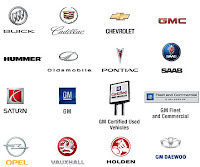 This is a list that informs shoppers which cars they should consider getting. Three of these cars earned a “recommended” status for the second straight year. These three cars are the Audi 07, A3, and A8. However, this year the “best buy” among sports performance cars was the Audi A5 coupe. All of these cars have proven not only to be affordable, but well worth your hard earned money. Having a car listed on this consumer buying guide is a great thing, but having four cars on it is just flat out amazing. So what were these cars graded on? For the most part, these four cars where graded on just about everything you can think of, from what cars had the best prices to what kinds of features the cars had. Of course, the price ranges are based on what kinds of options the cars offer, and let's just say that the Audi has a lot to offer you! These cars are also graded on performance testing and, of course, safety. There are a ton of great luxury vehicles out there, but it's hard to beat out good old fashion German engineering. Audi is a company that has recorded over 12 years of consecutive profit growth. This is something that can only be done when you offer award winning cars like the Audi A5, among others! Volkswagen's focus on compact, smart cars have paid off. Recent statistics reveal that Volkswagen is now the third largest automaker in the world. This is based on the number of cars manufactured per company. Volkswagen is constantly trailing Ford over the years in terms of volume, but recent increase on the number of cars manufactured last year has placed them a notch higher compared to Ford. The first two largest automakers are still Toyota and General Motors in particular order. Volkswagen has manufactured 3.31 cars in the first half this year. This figure is 7.2 percent higher compared last year. Ford on the other hand has manufactured 3.22 million cars in the same time frame. 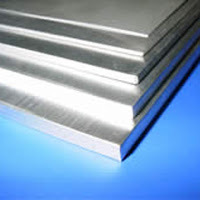 The company was able to overcome financial troubles compared to their American competitor. Volkswagen's innovative designs coupled with reasonable pricing and fuel efficiency were pointed as the reason of their improved sales. Although sales figure is not an indicator, the volume of cars produced is an indicator that sales is actually there. Companies would never have to manufacture cars if they know they will never improve in the industry. Ford on the other hand have been slowed down by recession. It has even come to a point that Ford, along with the big three have asked the US government for financial help. This might be a factor which will continuously slow down production of Ford cars. Along with the other US based manufacturers, they have to take drastic measures or else they will never survive. 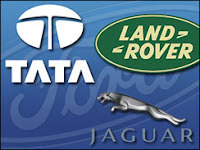 The 5th to 10th largest automakers in the world are as follows: Honda, Peugeot, Nissan, Fiat, Renault and Hyundai. If you’re going out shopping for a new sports car this year and you have $85,000 in your pocket, get the 2008 Dodge Viper. At first glance it looks like a small toy car but under the hood and when you step the gas pedal, the experience will always be exhilarating. The power of Dodge Viper is based on the fact it has 600 horsepower engine. Even the NASCAR restricted cars don’t even come close to the Dodge Viper’s power (only 470 horsepower). Under the hood features 8.4 liter V-10 engine which means this could be a fuel guzzler without any effort. But then again, it’s not really geared towards those who wanted to be fuel efficient. Unfortunately, a single digit mileage will automatically prohibit you from using it in California (at least on public road). For the price you pay, the 2008 Dodge Viper will not only give you power but sleek corner control. You can easily manage those u-turns without any challenges at all since it uses one of the world’s most grip efficient tires – the Michelin Pilot Sport 2. The positioning of the tires is also geared towards speed but with grip that will still ensure your safety. While the big three automakers of US (GM, Ford and Chrysler) are actively seeking out government assistance through billion dollar bail-outs, other automakers notably, the Japanese automakers have relatively less problems and would even cruise through the recession without any major damage. The sales performance of Japanese automakers have assured them of a steady future in this industry. Although they may not increase when the full swing of recession strikes, they will not go down either. The big three on the other hand, are crossing their fingers for a bail-out or else they may not survive. 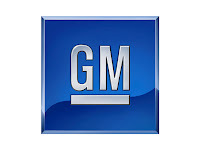 GM executives even claim that they need $4 billion now or else they might completely shut down. For observers, the reason why Japanese manufacturers were able to succeed where the big three didn't was because Japanese automakers were looking more into the future. Toyota, Honda and Nissan has spent considerable amount of money in R&D to come up with smart cars and hybrid cars that promotes efficiency while providing better gas mileage.The big three on the other hand, was apparently stuck in their muscle cars. The American automakers don't really believe that's the source of the problem. They pointed out the "legacy payments" which are the retirement benefits and other support services these companies have to give to their retired workers. But it all boils down to this: no sales means no earnings. The American automakers weren't able to sell as much cars as they expect compared their competitors and because of that, they are in a lot of trouble today. This year is crucial for Ford as a company. They are aiming for a bail-out that has continuously received mixed reactions from US government and the people. Without the bail-out, Ford might not be able to function well or even survive the harsh economy. But even with such news, Ford did not hesitate to roll out their latest Mustang. The 2010 Ford Mustang was revealed and it’s a beauty. The exterior of the new Ford Mustang is almost the same to the 2005 but with additional curves in the front and the sides. Aside from additional curves in the back, the size was increased a little bit. The result is a more retro look rather than going for a more progressive trend set by the 2005 model. The interiors on the other hand have been changed significantly. No longer will new owners have to deal with the cheap plastic feel of the 2005. The new Mustang now has sleeker interiors and better space for the driver especially additional space for the lever and the right knee. Although the engine has changed a bit (4.6L V8), the torque was significantly improved which could slightly increase its speed since the weight of the 2010 Mustang is still the same. The 2010 Ford Mustang promises to be both a beast and a beauty as it has retained its beauty while pushed for more performance. There has been a lot of talking regarding the launch control feature of Nissan GT-R. This feature in the GT-R will help the drivers reach 60mph in 3.9 seconds which is a good option for drivers who wanted to control or even slow down a bit. But speed hog, the launch control is a bitter sweet additional feature. Using the launch control in Nissan GT-R will potentially void your warranty in case something happens in your car. Specifically, the transmission could easily break down if the launch control is constantly used. This is a little bit unfortunate for those who wanted to be really fast. It’s like a constant bait to destroy your transmission – use it and risk voiding your warranty. But if you’re problem is just the speed, then don’t worry. Nissan GT-R could still reach the coveted 60mph in just 3.9 without the launch control. That means you just have to floor your Nissan GT-R and you can reach 60mph in 3.9 seconds. That also means you can just discard the launch control although this feature could ease the driver’s need to control while increasing speed considerably. There are those, however, that opted to continue with their launch control feature while being able to enjoy the warranty. If you have been working with the launch control for sometime, you are now able to properly use this feature. With the right timing, you should be able to use the launch control without any problem. But remember, you can achieve the same result if you just floor the gas pedal. 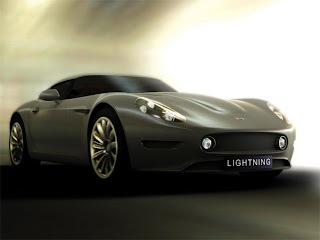 Koenigsegg has always been associated with very powerful and equally expensive sport cars. The recent release, the Koenigsegg CCXR boasts of an impressive 4.8 liter, V8 engine. The engine has been engineered to bring out 1004 horse power which will surely blow you away in no time. Floor the gas pedal and in less than three seconds you’ll already be running 60mps (2.9 seconds to be exact). These numbers could only be compared to a highly popular also expensive car, Bugatti Veyron. In fact, the data is even better. Koenigsegg could have a maximum speed of 254 mph while the Veyron could only reach 253mph. Yes, it’s just a mere mile but this will mean that the CCXR could beat Veyron. But with all these features, the CCXR wants to go out with a message: you don’t have to be a polluter just to experience the thrill of speed. The CCXR’s engine could be used with a mix of ethanol and gasoline. It’s an environment move which is also great for the driver as this will greatly reduce emissions. No one will even smell your smoke when you pass them by at 250mph. The Koenigsegg hopes to appeal to those who are not only speed crazy but also a nature lover. As we have already said, this is a highly expensive car and will cost no less than £1.5 million (around $2.25 Million). At least its earth-friendly. Lotus Evora was recently unveiled for the first time in US soil during the LA Auto Show. The mid-sized version of Evora was shown to the public with a little less flare compared to the Evora that was in Europe in one of the auto shows. But that doesn't mean it's a lesser because it could stand on its own without lights in the side markers. The Evora is a mid-sized sports car with an impressive 30mpg but has an engine that could have as much as 276 horse power. 60mph could be achieved in 5 seconds flat with a top speed of 160 while running with 3.5L V6 from Toyota. But if the numbers don't appeal to you, maybe the insides will do. The sports car is roomy enough for two passengers in front but also has a room at the back for two kids. The interior is all leather and the dashboard has a powerful GPS. Entertainment could never be better which features multi-touch interface - because you just can't get off your hands on the screen. The best part is that you'll never have to be awkward in getting into this car as it doesn't have any fancy doors that will only make you uncomfortable. 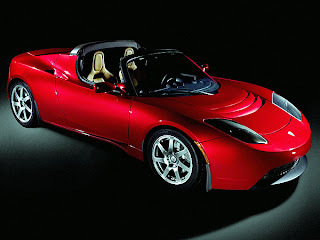 The Evora is expected to be available in the US market from November to December. A convertible is also set to be sold later. Automatic shifting features will be available second quarter next year. So if you're looking for a sports car this Christmas, give everyone in your family the thrill of the ride with Lotus Evora. Nissan has unveiled their latest sports car during the LA Auto Show. The Nissan 2009 370Z was presented to the public and has generated a buzz because of the previous reception of the 350Z. Although the previous version did had a lot to be proud of, owners have been expressing concerns over the 350Z as there are obvious things that could be improved in the Nissan sports car. Luckily, Nissan has heard the complaints of its customers and willfully obliged. The 370Z is basically an upgraded version of 350Z with some features were made based on the reviews of the previews 350Z. Clearly, Nissan is aiming for customer satisfaction by establishing features from customer suggestions. But these suggestions are actually feasible, the engineers of Nissan just have to work a little bit harder to achieve them. The key feature of the 2009 370Z is the reduction of weight. More than 100 pounds were taken from the sports car. The 370Z is now at 3,232 lbs - relatively lighter when compared to its predecessor which was at 3,350 lbs. The weight is based on the manual shifter version of 370Z. Aside from its weight, the chassis was improved significantly. Although they opted to for the traditional look of a sports car, the chassis were improved in strength. which will naturally improve the performance of the car. The expected base price for the latest Toyota sports car is within the $30,000 range. The Nissan 2009 370Z will be available early next year. Can the electric car save General Motors? 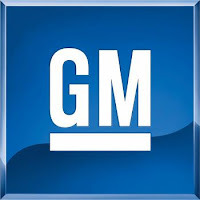 General Motors is not the only automotive company having problems at the moment but for one reason or another it is the one that has dominated the news despite the fact that all of the Detroit based automobile manufacturing companies are having serious problems when it comes to their bottom line. However, there is something in the works that might be able to save GM and similar companies that decide to do the same thing and it is the electric car. GM has had many meetings regarding the creation of electric automobiles and at the current moment in time it does appear as though the electric car is going to become real before the start of the next decade in 2011. This is very interesting indeed because not only is the GM electric car going to be completely devoid of anything in terms of a traditional gasoline powered engine, but the small conventional engine that works as a backup in case the electrical engine were to fail has been fine-tuned so that it has an overall fuel efficiency that is on par with the scooters that people have been purchasing as replacements for their cars. Considering the technological advancement required for such a thing, that is a statistic that is sure to make people sit up and take notice. At the moment we only have GM's word to go on as to the veracity of that statement but the car will be released into the market soon enough and when that does happen everyone will know whether they were exaggerating, bloviating or telling the truth. One trend that appears to be continuing strongly at the current moment in time is the falling price of oil. After peaking around the $150 per barrel mark this year, the price of a barrel of oil has come down around 65%. This to some people is a validation of the theory that speculation was the only real thing driving the price of oil whereas to other people it is just an indication that the people controlling the world's oil supplies know exactly when to press the issue and when exactly to back off. While the latter is a bit of a conspiracy theory, the fact that oil increases seem to coincide with maximum complacency in the market combined with the fact that it seems to decrease in price coincidentally with the maximum desire for change in the marketplace has made many people into proverbial UFO believers on this particular issue. Whatever the reason for this happens to be however, the truth of the matter at this point is that the likeliest future pathway is that nothing is going to happen as a result of this sudden sharp decrease in the price of oil. People will have an easier time making their purchases at the gas stations and their monthly financial statements will look a lot better as a result, but ultimately the desire for the marketplace to move past gasoline at least in the area of personal automotive transportation has already taken hold in the free markets of the world. Many of the world's top automotive companies already have plans to come out with fully electric cars by 2010 and of course fully electric cars have no reliance on gasoline whatsoever. 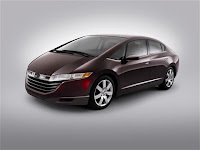 The craze at the moment as far as the purchase of automobiles is concerned is the purchasing of hybrid automobiles. The Prius is the most obvious and celebrated example of this but the fact of the matter is that everywhere you look people are turning to hybrid automobiles as an answer for their current fuel problems. However, looking at the long term, are they really that good? Hybrid automobiles are cars that have a conventional combustion engine while at the same time having an electric engine that can share the load some of the time. The usual end result is that fuel efficiency is doubled and therefore gas prices for a person are effectively cut in half. This is a very elegant solution at the current moment in time since it has the practical effect over the course of a month's worth of buying gas of restoring the cost to its location a few years ago. 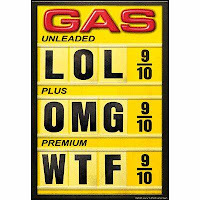 That having been said, what happens in the future when gas prices double? When gas prices double, people that have purchased hybrid automobiles will be in the exact same boat they were in just before purchasing the hybrid to begin with. Of course one would hope that technology would progress in the time and that the person would have enough cash to unload their hybrid and switch to something else when the time comes, but if we are unlucky enough to see gas prices double in the next year that does not seem like a financial reality for most people. Hyundai has opted to release the specs for the 2010 Genesis Coupe. So far, the data is pretty impressive as the soon to be released coupe has the fuel efficiency of 30mpg. Genesis Coupe will come in two models: Track and GT models. The latter model will have more features compared to Track models. The GT model will feature powerful 360-watt speakers, sunroof, GPS and power adjuster in driver’s seat. The less slick Track will not have the flashy chrome design of GT but will feature classic leather seats with powerful 13.4 and 13.0-inch breaks in front and rear disks respectively. Available also are the turbocharged, standard and premium model. Turbocharged are geared towards speed as it features six speed option. Weighing considerably less compared to other coupes (3,303 lbs compared to 3,402 lbs for standard), it could reach 220hp when used with premium fuel. The standard edition of 2010 Genesis Coupe on the other hand is geared towards leisure or daily comfort drivers. The car features the standard brakes in front and rear while featuring a decent entertainment system such as docks for iPod and other MP3 players, six speaker sound system, as well as Bluetooth capability. The premium model upgrades the entertainment experience of the standard edition as it comes with a more powerful 10-speaker 360-watt sound system. There is also an integrated Homelink and navigation system. Although the specs are impressive, the 2010 Genesis Coupe will be pushed as a two-door car. Apparently the lightweight cars of Hyundai have to sacrifice space to ensure fuel efficiency.